Happy Fall! Between promoting Ligonier Valley Vignettes, traveling to Bedford, PA along the Lincoln Highway, vacationing in various national parks in southwestern Utah, and my usual extracurricular activities, it was quite a busy summer! I expect the upcoming fall season to be just as busy, but I hope to continue promoting my book, work on some feature articles and brainstorm some ideas for a possible second book. Before all of that, I have a couple of big events planned for the month of October! First up is the annual Fort Ligonier Days – Ligonier’s annual three-day festival that commemorates the Battle of Fort Ligonier (or Battle of Loyalhanna), which occurred on October 12, 1758. The French and their Indian allies attacked the Post at Loyalhanna on this date, but the fort was successfully defended and the Forbes Campaign continued on to chase the French from Fort Duquesne and take control of the Forks of the Ohio during the French and Indian War. Friday, October 11 from 10:00 a.m. until 4:00 p.m.
Saturday, October 12 from 10:00 a.m. until 5:00 pm. Sunday, October 13 from 11:00 a.m. until 4:00 p.m.
I’ll be taking breaks throughout the day to watch the parade, check out artillery demonstrations at Fort Ligonier and sampling goodies from the yummy food booths around town, so look for me fighting the crowds around town! You can check out the Fort Ligonier Days itinerary by clicking here and the events scheduled at Fort Ligonier here. Ligonier Valley Library: October 29 at 7:00 p.m.
Later on in the month, I will be giving a slide presentation at the Ligonier Valley Library related to Ligonier Valley Vignettes on Tuesday, October 29 at 7:00 p.m. I will be selling and signing books afterwards. The library and its wonderful staff have been great friends to me over the past decade, ever since I started working in the Ligonier area, and I am happy to spend a nice evening with them! This event is one of many hosted by the library’s Pennsylvania Room throughout the year – you can find out more information here. Keep updated on the places Ligonier Valley Vignettes will be this fall and winter by checking out my Author Events page! Previous postHappy Retirement to Marie McCandless! Next postHuzzah! 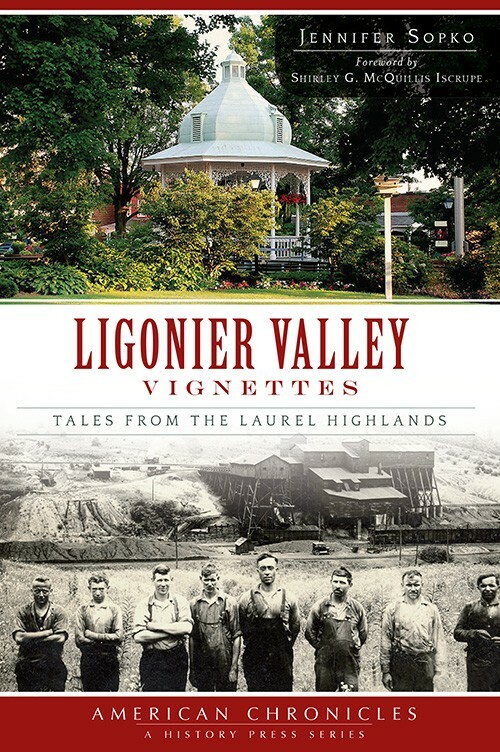 “Ligonier Valley Vignettes” Hits Fort Days!